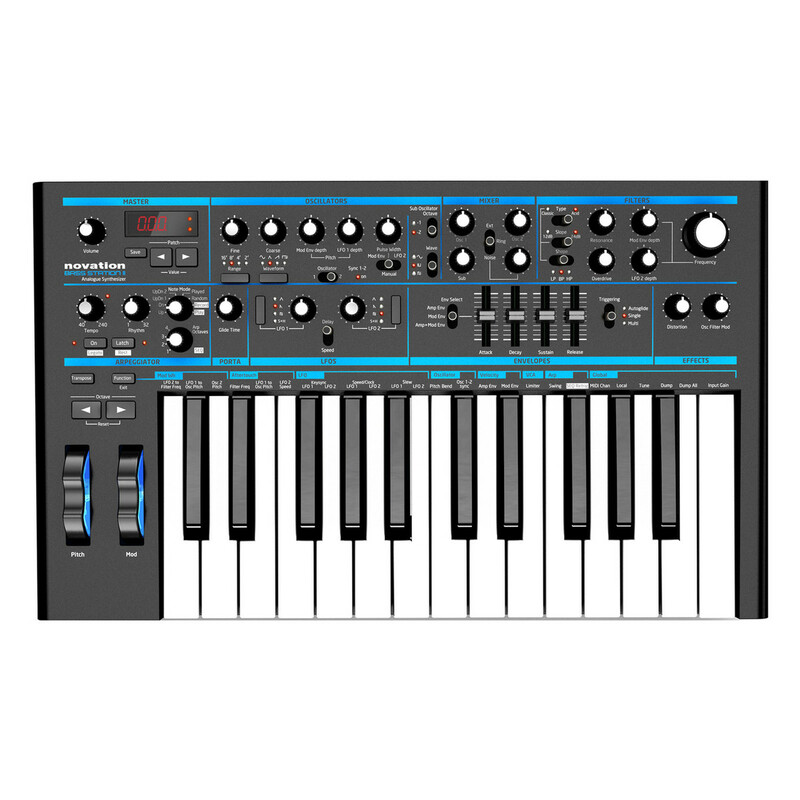 Novation's Bass Station II is an analogue mono-synth with a talent for bass, but a sound-engine that is versatile enough to kick out sharp leads and crisp arpeggios. It brings the best elements of the original BassStation into a brand new design with re-worked modulation, effects, filters and more; like the BassStation, but much much bigger. The signal path is pure analogue - including the effects section. The hardware has been laid out in modules with dedicated pots, switches, sliders and buttons for all major parameters. You can store and recall patches on Bass Station II - it comes with 64 killer factory presets, space for 64 of your own sounds on the hardware and you can store even more on your computer. 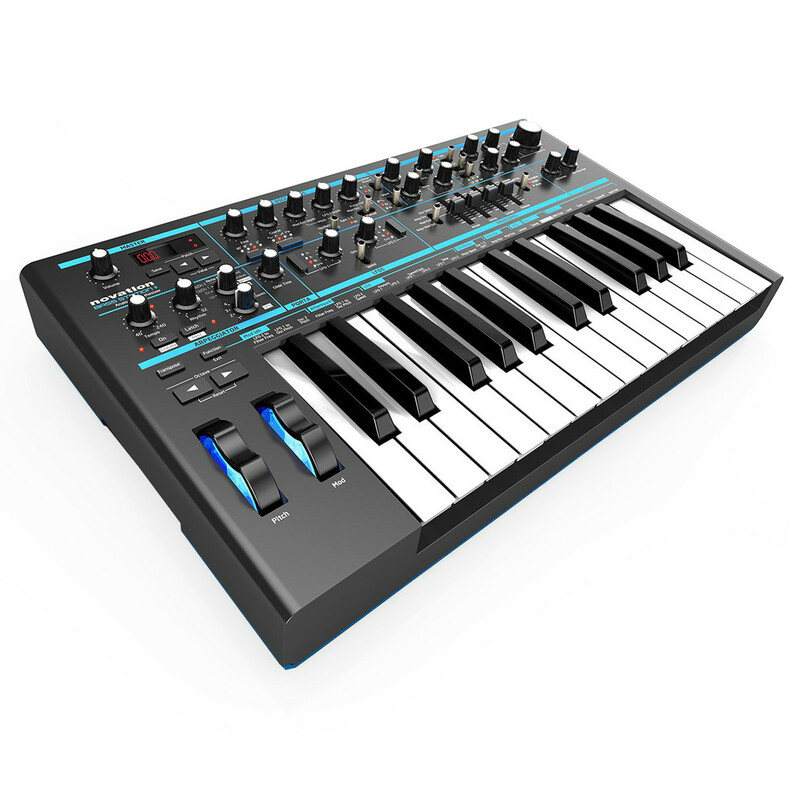 The Bass Station II has 25 full sized keys that are velocity sensitive with assignable aftertouch. Because it's been developed as a synth-action keyboard, each key is individually sprung so it is light to the touch and highly responsive to the synth engine. The Bass Station II is a fully class compliant MIDI device with MIDI I/O on 5 pin din ports for connecting to other MIDI outboard and your computer over USB. Bass Station II is built on three analogue oscillators and a noise generator. There are two fully independent oscillators plus a sub oscillator, the critical component in creating rich, analogue bass sounds. Oscillators One and Two are switchable between sine, sawtooth, square and variable pulse width, and Oscillator Three - the sub osc - can be set to one or two octaves below Oscillator One. 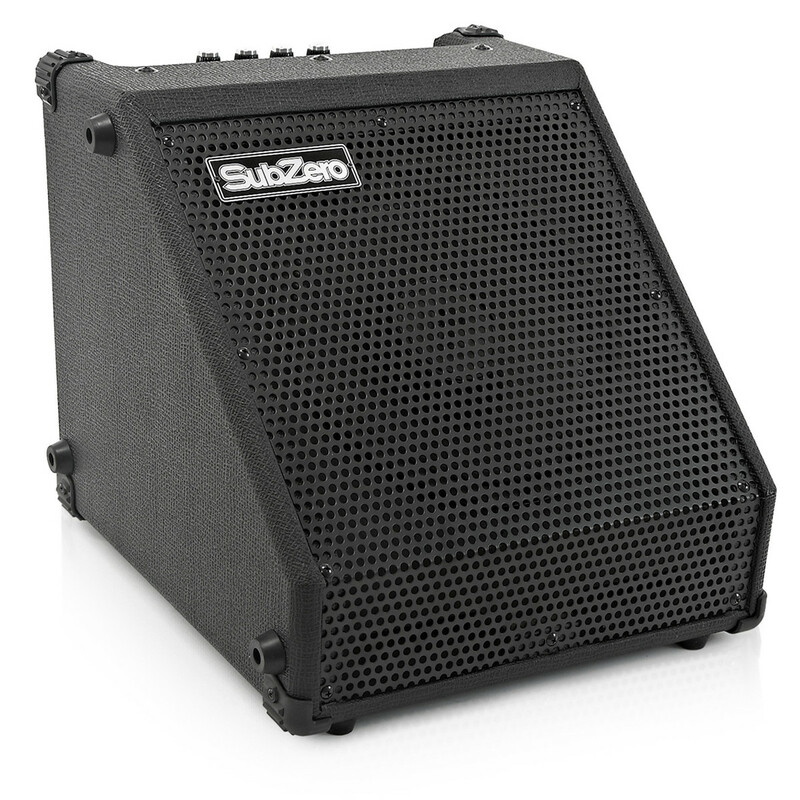 It can be square, sine or narrow pulse width, delivering the characteristically fat bass tone. You can select between two discrete filters - Acid or Classic - each with a built in overdrive for pushing filter tones from dry, to warm, to nasty! The Classic Bass Station filter can be switched between low pass, high pass and band pass at 12 or 24dB slopes. The Acid filter is based on a diode ladder filter design that delivers a characteristically 303-esque sound that is designed to squelch! Bass Station II has two effects (not including the filter overdrive). Analogue distortion drives circuit components to add new frequencies to the sound. Bass Station II's Distortion function can add gentle warmth, filthy granularity and anything in between. The second effect is Osc Filter Mod which creates a distinctive FM-type sound by using Oscillator Two to modulate the filter frequency. This is very good at crunchy, sound-mulching effects that substantially fatten up bass and lead patches. There are two envelope generators and two low frequency oscillators (LFOs). The first envelope is an ADSR amp envelope and the second is a mod envelope that can be used to modulate filter frequency, oscillator pitch and osc pulse width. LFO One is dedicated to pitch modulation whereas LFO Two is used to modulate osc pulse width and filter frequency. Although it looks like there are four LFO waveforms, the LFO Slew function can be used freely to sculpt LFOs into smoother wave-shapes. 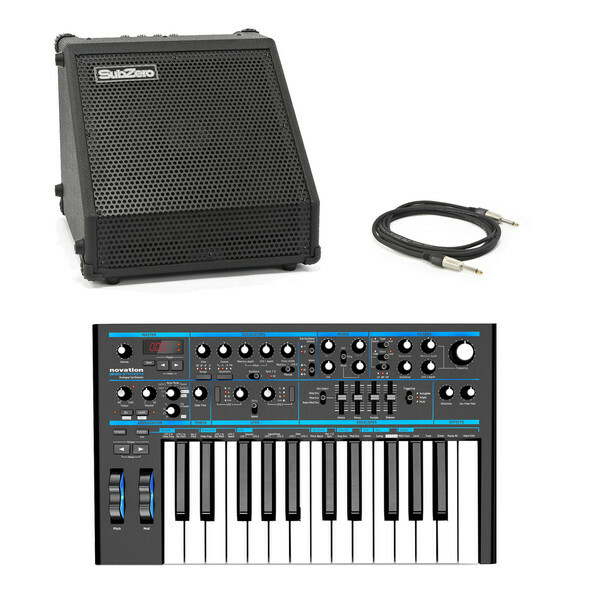 Bass Station II's Arpeggiator and Step Sequencer are killer performance and production tools. The Arp can be directed to run through 32 different rhythmic patterns in different directions with a switchable octave range. You can also engage the Step Sequencer. Up to four sequences can be played in - with legato and rests - and played back using any one of the 32 rhythmic patterns. As well as getting ideas down quickly and programming performance sequences, this is a brilliant way to preview patches while you are editing them.